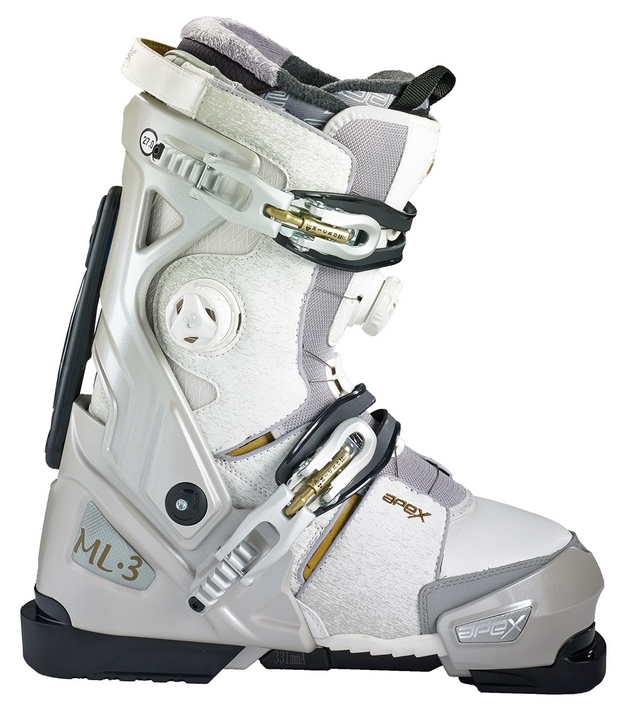 BRAND: Apex Ski Boot System. Be part of the revolution! BOOTS: 2017 ML-3 Womens. Reach Your Peak Performance. This is a true game-changer ski boot that proves you can have optimal comfort without sacrificing performance. Eighteen individual points of closure provide a precise fit for ultimate performance. CONDITION: This PAIR of RETAIL QUALITY ski boots comes NEW in retail box with FULL WARRANTY. SIZE: Choose from remaining available sizes using drop down menu. Most users get these boots in their standard street shoe size or the next size up if between sizes. 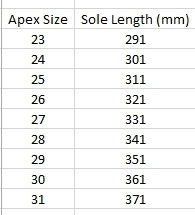 Click here or visit Apex website for more sizing info. 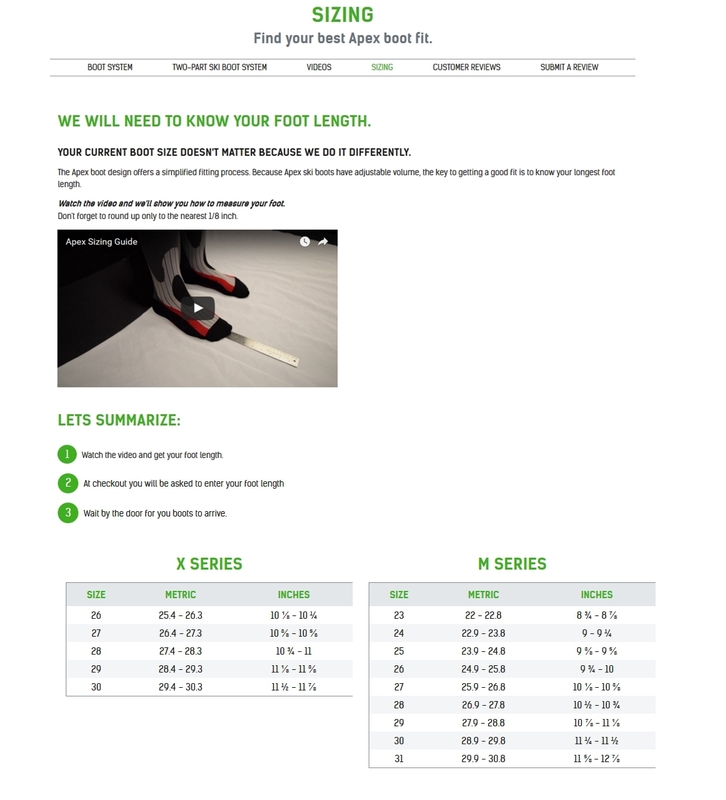 SOLE LENGTH: Click here for sole length chart. INTENDED USAGE: Any level female skier that wants comfort and walkability without compromising performance. These boots are compatible with any standard ski binding. REVOLUTION! : Check around online for user reviews, industry accolades, and informative videos of these iconic Apex boots....Be Part of the Revolution!